Digital television platform Freesat offers 37 radio stations on its service. There are several advantages to listening to digital radio with Freesat. Firstly coverage is very good with satellite signals reaching more of the UK than DAB digital radio or 4G mobile broadband. Freesat claim the service is “available wherever you are in the UK”. This is ideal for towns and villages which are yet to receive a reliable DAB signal. 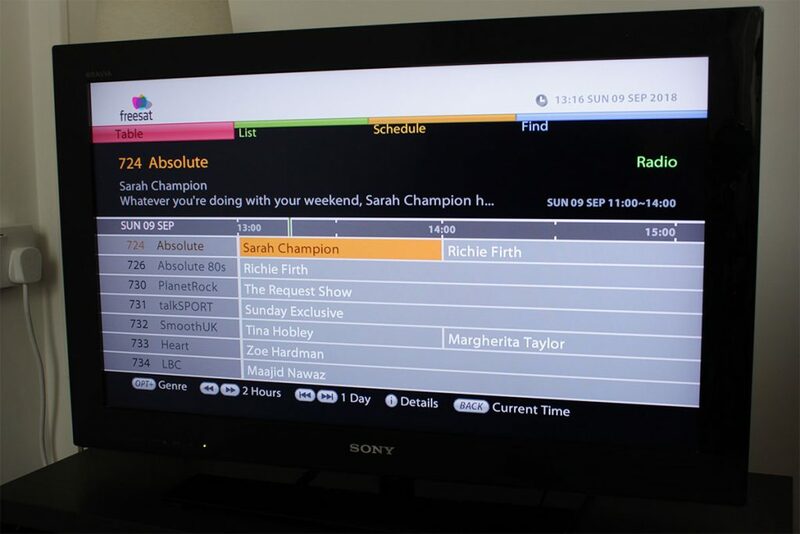 Second, finding radio stations on Freesat is easy with the on-screen programme guide. A grid layout shows the available stations and the on-air programmes at a glance. Sound quality is good too. Radio stations like Absolute 80s and Planet Rock are in stereo, unlike on DAB digital radio. The downsides of Freesat include a lack of portability and the need for a satellite dish. There are no local radio stations on Freesat, unlike Freeview and DAB digital radio. A range of 37 digital radio stations are available on Freesat. The line-up includes national radio stations from the BBC, such as BBC Radio nan Gàidheal and BBC Radio Cymru 2. Although BBC Radio 4 Longwave is available, Test Match Special is free of interuptions on BBC Radio 5 live Sports Extra. Many of the UK’s most popular commercial radio stations are available too. Classic FM, Absolute Radio and talkSPORT join BFBS, Planet Rock and RTÉ Radio 1. Some national DAB stations, including Mellow Magic, are not available on the service. KISS, Magic, Smooth Extra, Premier Christian Radio and UCB are also absent. Jazz FM is no longer available on Freesat, but continues on Sky, DAB digital radio and online. Virgin Radio joined Freesat in January 2019. You will need a suitable satellite dish and receiver to listen to radio stations on Freesat. If you already have a Freesat receiver you can listen to radio channels straight away. 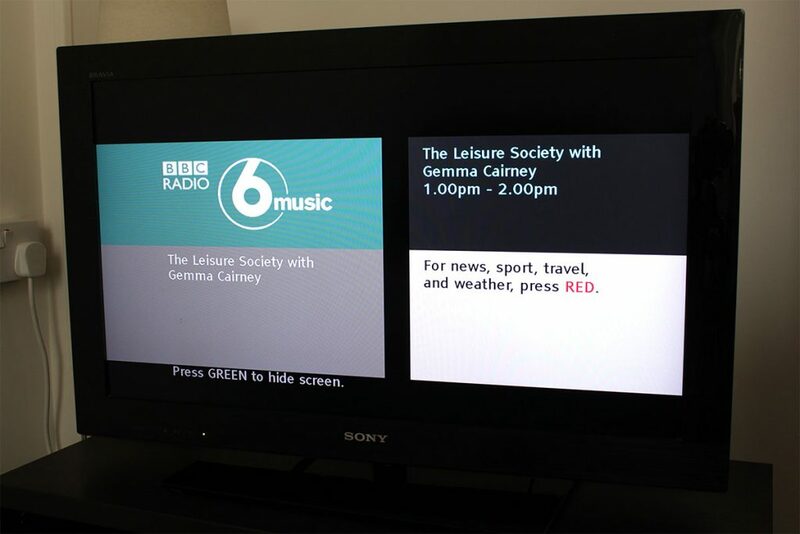 Press the ‘Guide’ button on the remote control and go to the radio section. Or access a channel using a channel number listed above. If you don’t have Freesat yet there are several types of receiver to choose from. The simplest and cheapest offer more than 200 TV and radio stations, including several in HD. On-demand services from the BBC, ITV and others are also available. Freesat+ HD receivers can record, pause and rewind live TV. Some receivers allow scheduled recording of radio channels. It’s worth checking in advance with the retailer if you are looking to have this feature. You don’t need to leave the television switched on all the time if you have an amplifier or home cinema system. Many Freesat receivers have analogue and/or digital audio outputs. This option allows you to use the Freesat receiver like a radio tuner separate. 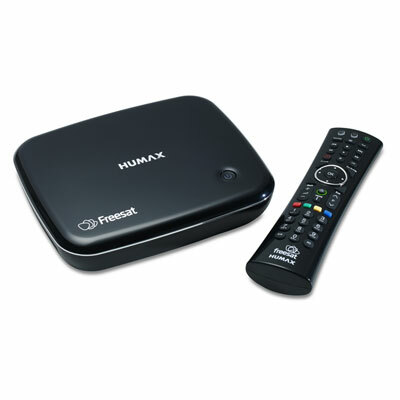 The cheapest Freesat HD boxes cost from around £50. Freesat+ HD receivers are available from approximately £100. Smart Freesat+ HD boxes start at £170. Many homes already have a suitable satellite dish, either used now or before for Sky. If the dish, LNB and cable are in good working condition a Freesat box can often be used in straight away. If you already have Sky you can also use the same dish to install Freesat in another room. Installation can often be arranged with the retailer when you buy a Freesat box. If you’ve already bought the receiver you can call Freesat who work with approved installers. The fixed prices start at £79.99 for a dish with a single satellite feed. Independent installers listed on the GetMeViewing website can also help. Freesat is the brand name of the service offered by the BBC and ITV. The term ‘freesat’ is sometimes used loosely to refer to free channels available by satellite, or the separate Freesat from Sky offer. The information in this article applies to the Freesat service only. Many of the features outlined here are not available on other free satellite receivers and products. You should check that receivers carry the official Freesat logo before making your purchase.